For a more casual look and feel to a pair of shorts, pull on these Rugby Division Putt Graphic Off Field Rugby Shorts in Light Grey. These shorts from French rugby inspired fashion brand, Rugby Division, come made from 100% cotton. Secured in place with a drawstring waistline, two side pockets keep your essential items safe and secure. 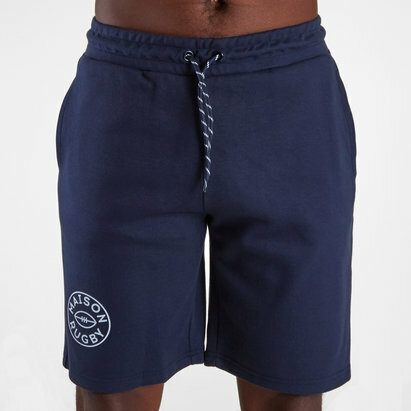 In a classic design, when you're away from the field, pull on these Rugby Division Drive Graphic Off Field Rugby Shorts.